A strong defender of Christian values, noted author and lecturer Keith Clemons is a native of Southern California and graduate of English Literature at California State University, Fullerton. 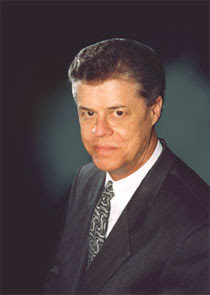 In his former capacity as Vice President of Marketing for Mytec Technologies Inc. He was a frequent conference speaker, particularly when the forum centered on Electronic Commerce. Today, in addition to writing, he appears on radio and television where he uses his communications skills to explain coming trends that will affect both the church and society at large. His passion for communication has resulted in the previous publication of more than a hundred articles. To date, Mr. Clemons has completed five novels including Angel in the Alley and the award winning If I Should Die, These Little Ones, and Above The Stars. He resides with his wife and daughter at their home in Caledon, Ontario, Canada. Two brothers separated at birth grow up worlds apart. Outwardly, they're exactly alike, but inwardly, nothing's the same--one is a devotee of fundamentalist Islam; the other, a Christian. In this modern-day Cain and Abel story, the lines are drawn not just over whose God is right, but also over the fact that they're both in love with the same girl. It's a conflict with grave repercussions, little hope of resolution--and time is running out. In the background, a plan has been set in motion that will bring the United States government to its knees. Will an unexpected visitation reconcile the brothers in time to save the woman they love--and ultimately, themselves--from the coming devastation? In his award-winning style, author Keith Clemons delivers a profound comparison between Christianity and Islam, a dichotomy of life versus death, love versus hate, and grace versus legalism. 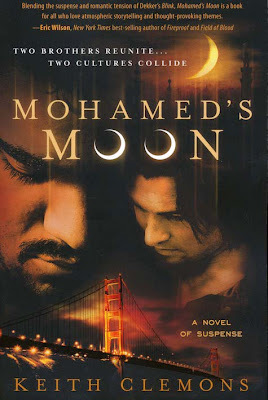 Mohamed's Moon will plunge you into a world where hatred and heinous acts are justified. But if hatred is potent, it pales in comparison to the power of God's love.